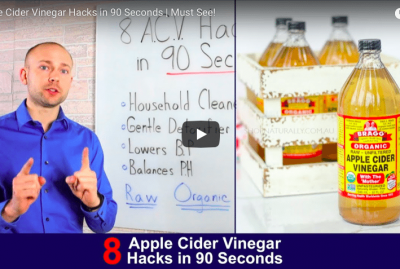 Apple Cider Vinegar While Intermittent Fasting is a video that breaks down whether or not you can use apple cider vinegar while fasting. The common question, can I drink apple cider vinegar while intermittent fasting is an important one. It’s important simply because you don’t want to be breaking your fast and not getting the benefits that you’ve worked so hard for. Apple cider vinegar while intermittent fasting is very powerful because it can be used as a tool to achieve better results. You can use apple cider vinegar for the purpose of satiating those hunger pains that find you with either intermittent fasting or one meal a day. You can also use apple cider vinegar as a tool in order to buffer blood sugar when you consume your first meal of the day. 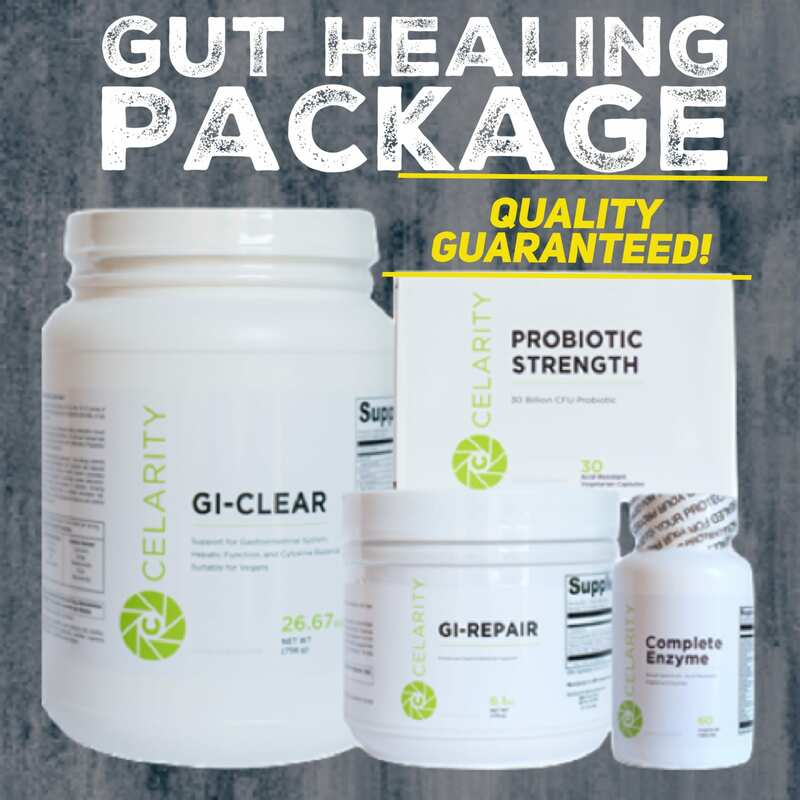 It will slow stomach emptying and support getting sugar into the cell, which ultimately keeps you from having such large blood sugar swings and spikes. Drinking apple cider vinegar while intermittent fasting is simple to do. 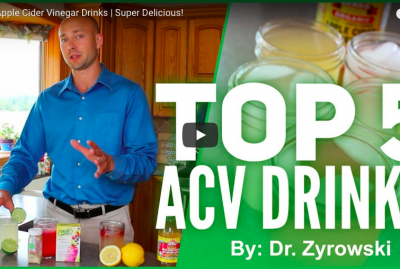 If you don’t necessarily like the flavor you can wither mix the ACV with lemon and a few other items to create a cocktail. 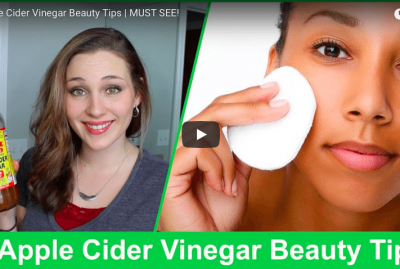 Or you can take apple cider vinegar capsules. I personally like the apple cider vinegar capsules because they work great but you don’t have to drink the ACV and deal with the taste. So, if you’ve been wondering can you drink apple cider vinegar while intermittent fasting, the answer is a definite yes. 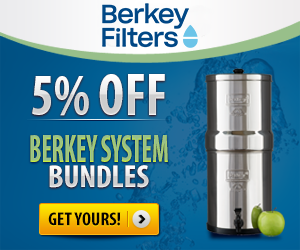 I think its a great tool that can be used in either the liquid or capsule form and it will not break your fast. 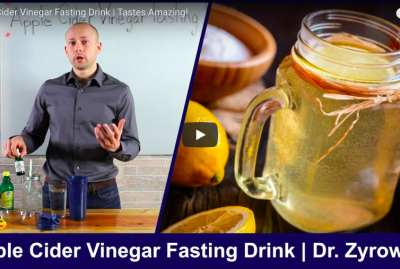 In this video we’ll discuss whether or not you can drink apple cider vinegar while intermittent fasting. Hi ladies and gentlemen. 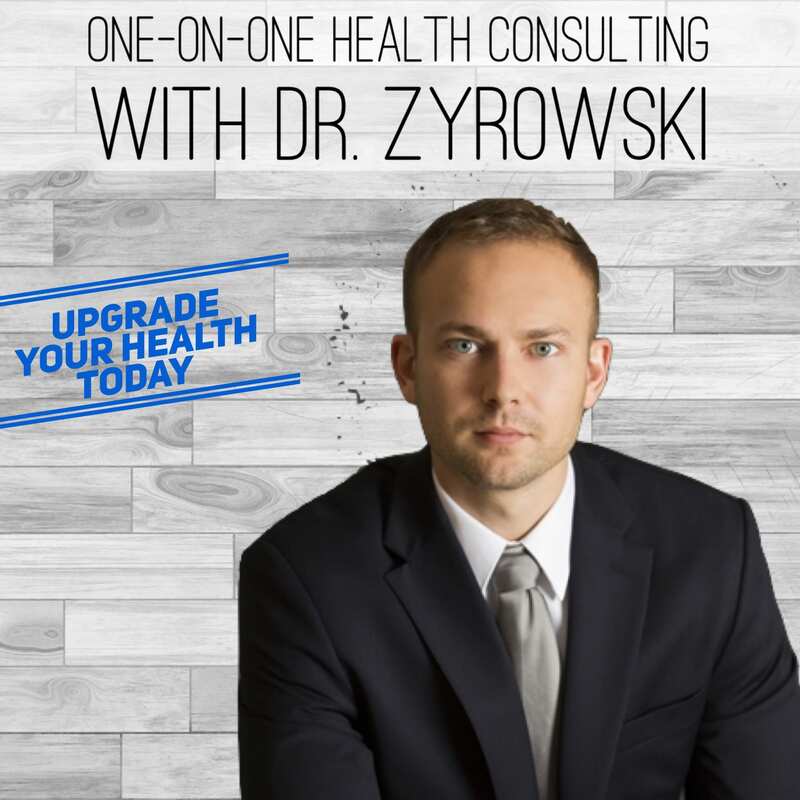 I’m Dr. Zyrowski and welcome back to the channel and if you’re new to the channel, it’s a pleasure to have you here. Be sure to subscribe and hit that bell notification, enjoy our notification community so I can help you excel your health and your life. 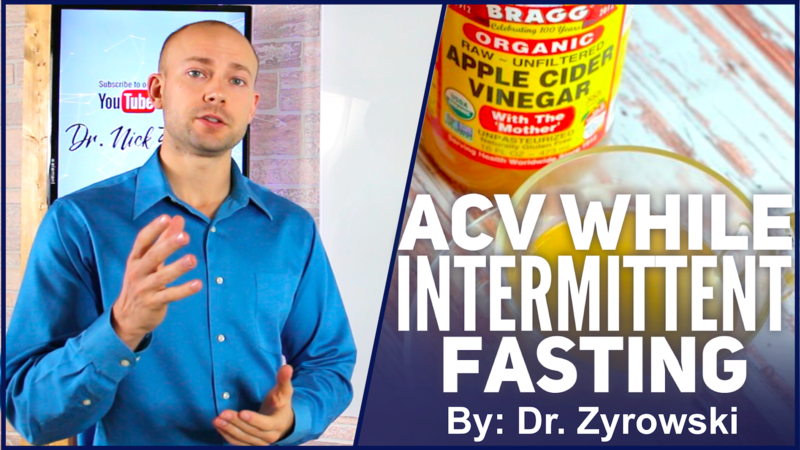 In this video, we’ll uncover if you can have apple cider vinegarwhile intermittent fasting. This is a common question that we get quite often here. 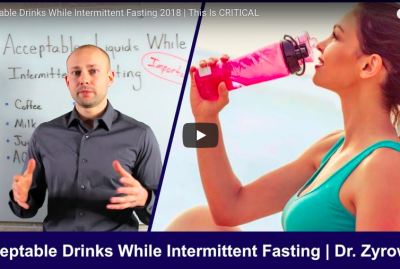 As a matter of fact, it’s a very good question because a lot of people are doing intermittent fasting and they want to make sure they’re not breaking that fast. I’ve actually seen people who have done intermittent fasting for years thinking they were doing it right. But they’re consuming a beverage, a coffee, something that was actually breaking that fast every single time for them. All the while they thought they were doing intermittent fasting correctly. So, it’s a very legitimate question to make sure that you’re not breaking your fast while consuming apple cider vinegar. So let’s go ahead and talk about it. When we look at apple cider vinegar the first thing that we know is that it’s zero calories. So while consuming that apple cider vinegar and it having zero calories, it’s perfectly okay and it will not break your fast. So that’s the important part, is that apple cider vinegar won’t break your fast. 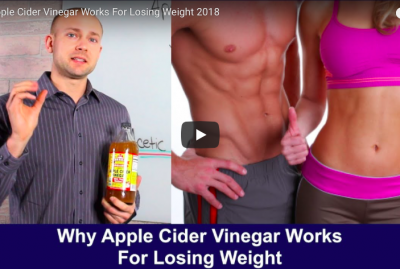 Now here’s the other thing that I want to mention when using apple cider vinegar and intermittent fasting, because it can actually help you and benefit you in a lot of ways. A large part of our community does one meal a day and the other part does intermittent fasting. And so one of the things that you can do with apple cider vinegar is you can actually use it to help satiate hunger. Because when you’re doing one meal a day or intermittent fasting, usually some hunger pains start to pop up. And so it’s very satiating when it comes to hunger so utilize that as a tool, as a strategy, in order to actually help you do the intermittent fasting or one meal a day correctly. The other reason apple cider vinegar is really great when doing intermittent fasting or one meal day, you can actually consume it right before that first meal and it’s going to help decrease the blood sugar spikes. And so once again, 1-2 tablespoons of apple cider vinegar right before your first meal of the day. Whether you’re doing intermittent fasting or one meal a day, use that apple cider vinegar as a tool to help you achieve better results. 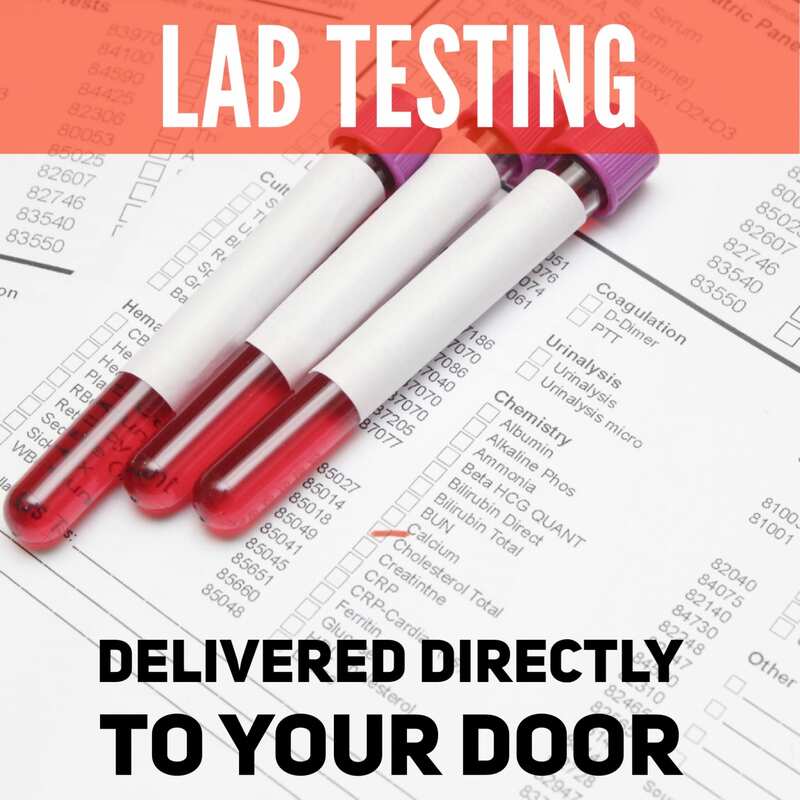 And so 1-2 tablespoons right before your first meal is going to help with that blood sugar balance right through that meal. How much should I drink it? The capsules versus a liquid? What I’ll do is put a link to a playlist that I have on apple cider vinegar in the description below because it will answer all those questions for you. And so be sure to give this video a thumbs up. Share it with your friends that are wondering the same question. If you have any questions of your own, post it in the comment section below and be sure to subscribe to my channel and I’ll see you in the next video.